Shipping services firm Great Eastern Shipping Co Ltd said on Thursday it has cancelled an agreement with a shipyard to build a bulk carrier. 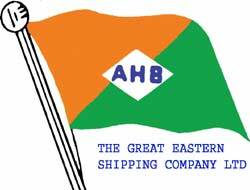 Shipping services firm Great Eastern Shipping Co Ltd said on Thursday it has cancelled an agreement with a shipyard to build a bulk carrier, which was scheduled for delivery in FY12. With this, the company's new building order stands at 7 vessels - 5 bulk carriers and 2 tankers, it said.